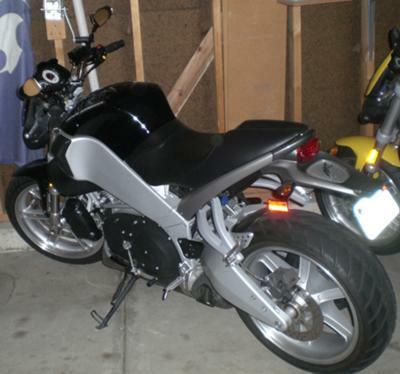 The 2003 Buell Lightning XB9S for sale in Kansas is painted Black (as you can see in the pictures) and has a very fuel efficient 984cc engine that will get your on average 50 MPG which translates into CHEAP transportation and lots of riding fun (like I have enjoyed for 7100 miles) for your money. 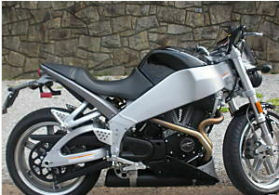 Upgraded parts and accessories include aftermarket mirrors, select and standard motorcycle seats. To set up an appointment for payment and pickup of the Buell motorcycle for sale, please email me your e-mail address where I can contact you using the space below provided by Strike Lightning Used Motorcycles for Sale. Strike Lightning would also encourage bikers to submit a 2003 Buell Lightning review for the benefit of potential buyers and the biker community. 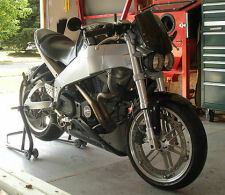 Visit buell's website for more info and additional pictures of the Buell XB9 for sale.